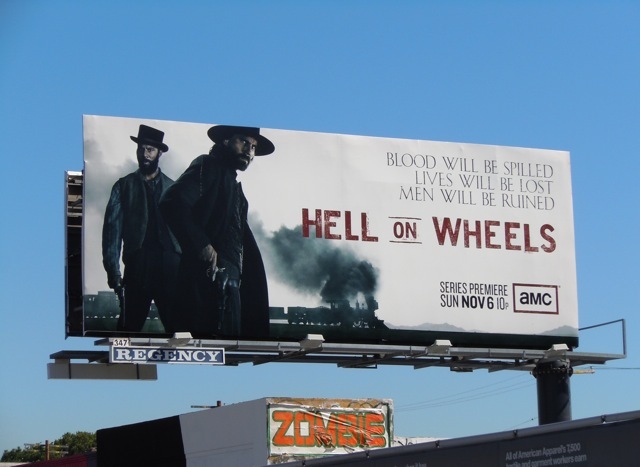 Hell on Wheels brings some Western flavour to TV screens this Fall season. 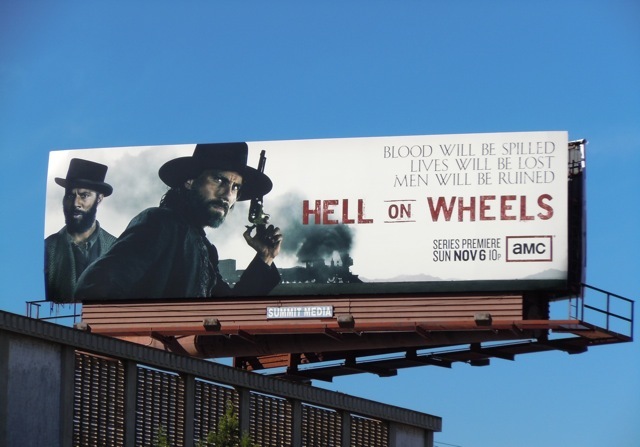 Set in post-Civil War America, Anson Mount stars as 'Cullen Bohannon', a former Confederate soldier out for revenge for the death of his wife at the hands of Union soldiers. Joining him in the world of the Union Pacific Railroad westward construction is Common, as emancipated slave 'Elam Ferguson'. 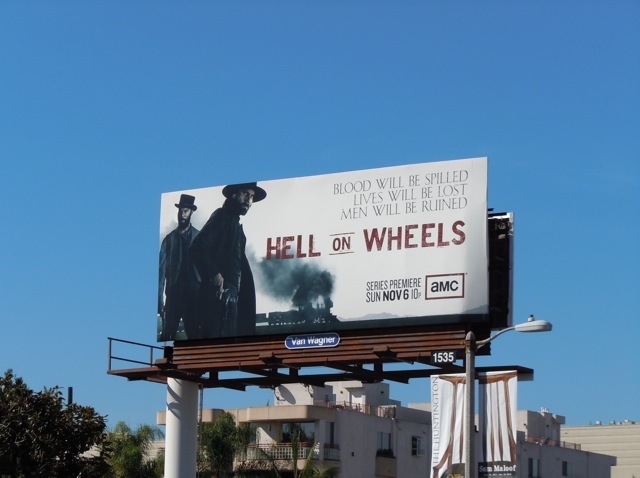 Are you ready for a bloody tale of greed, vengeance and steam trains? 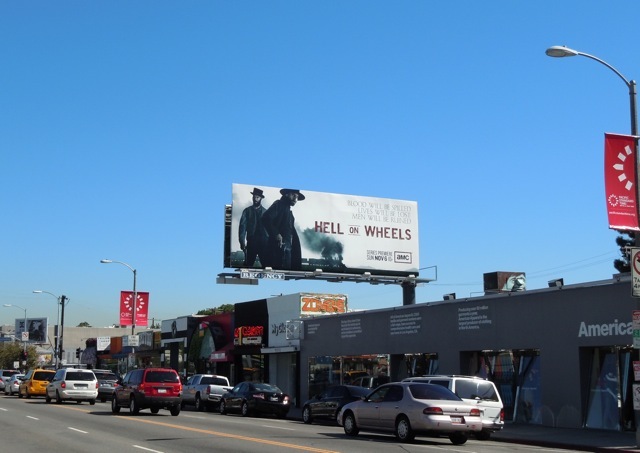 Daily Billboard has spotted two cool ad creatives for the new show, one with Cullen Bohannon with a pistol on his hip which was snapped along Melrose Avenue and Beverly Boulevard on October 14. 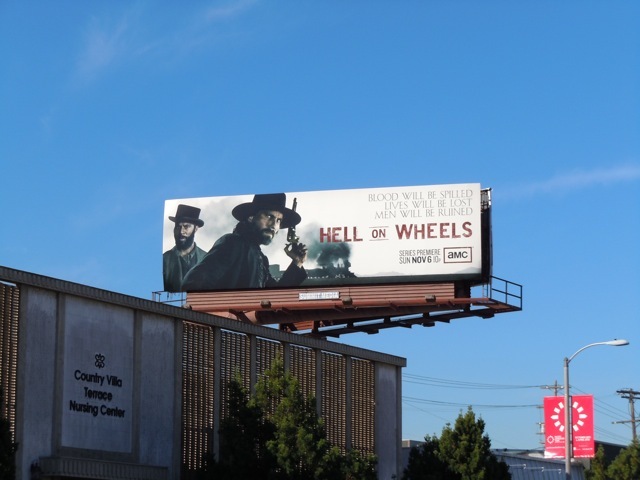 The other close-up version with his gun raised was captured along Pico Boulevard at Crescent Heights Boulevard on October 29, 2011.